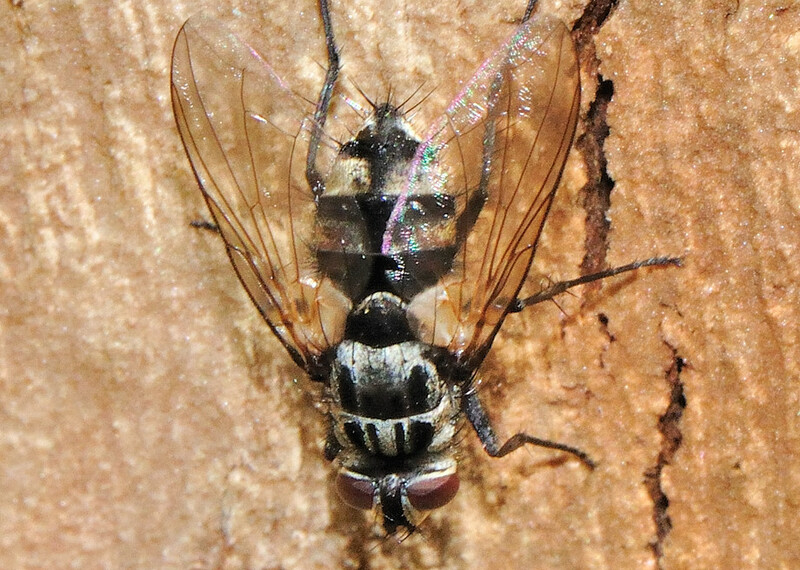 This page contains pictures and information about Black-striped Dexiin Flies that we found in the Brisbane area, Queensland, Australia. 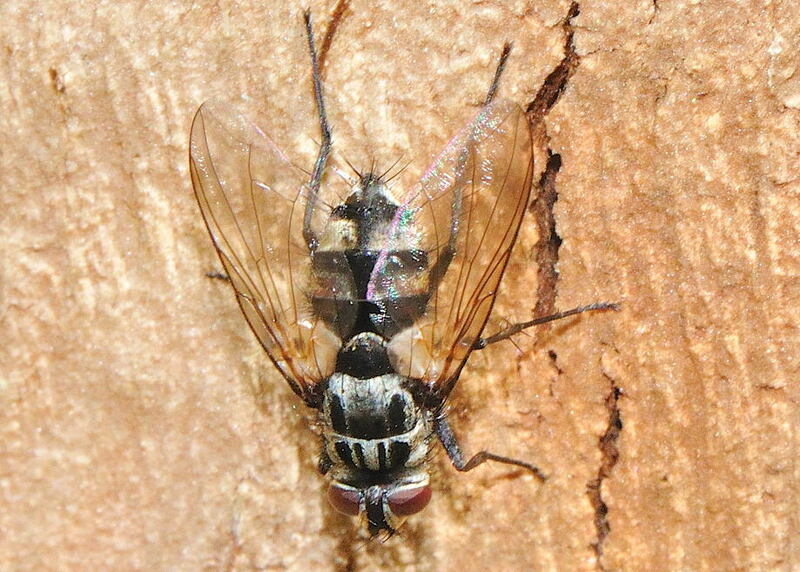 We identified this species by its wing veins and striped patterns on thorax. The fly is medium in size with stout body. 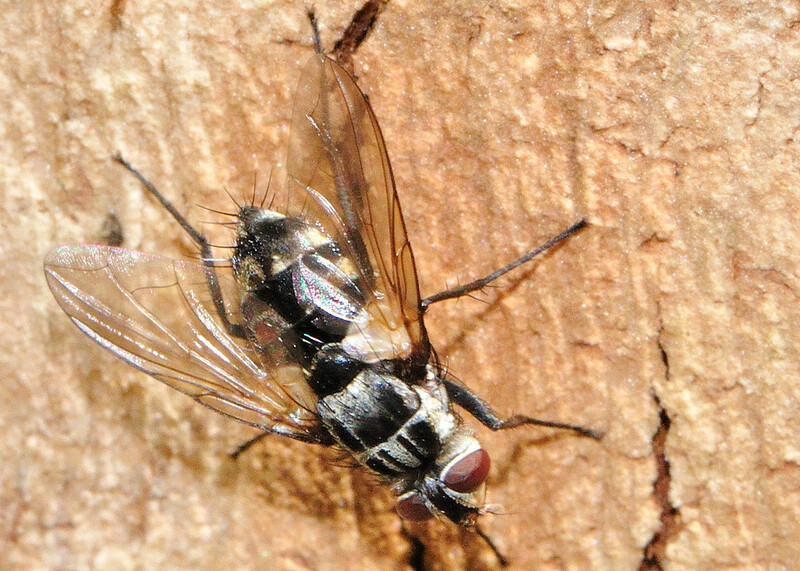 It has the long plumose arista on antenna. 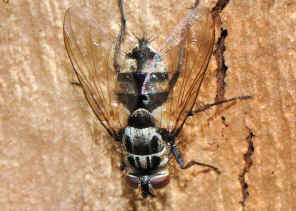 Scutellum and all legs are dark brown to black in colour. Lower calypter is creamy-white. 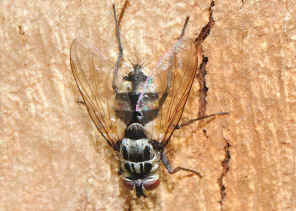 Abdomen in egg shape and is creamy-brown with narrow mid black strip. Photos were taken on Daisy Hills near Buhot Creek on Oct 2009.